I loved this K-drama very much and was highly addicted to it throughout all twenty episodes! I think the only other K-drama I ever felt a similar passionate addiction for was My Love From Another Star which I watched while it was first airing as well. I couldn't bear waiting another week to see the next episodes of Doctor Stranger, and would even dream about the characters and story when I went to sleep at night! I obviously respected this drama that much that it haunted my subconscious! SBS brought in some of the best in the business to appear in Doctor Stranger (2014), including a lot of veteran senior actors who have been in shows like City Hunter and Master's Sun. Lee Jong Suk is beyond fantastic in his role; to me it was his most challenging role of all. I liked that it was not just melodramatic but had some terrific humor as well, especially in the middle part of the drama. Middle parts of most K-dramas tend to sink a bit and feel dragged, but not in Doctor Stranger, thanks to some humor scenes written along with dramatic ones. The occasional flippant and wry humor in the middle of the drama helped counterbalance the almost constant tension of the events taking place in the beginning and near the end. I feel the same way with this drama as I did with I Hear Your Voice: I didn't want it to end. I loved the anti-communist, pro-freedom flavor of it all too, and the soundtrack was excellent; even now I hear the theme song in my head as I write this review. Kudos to cast and crew, including brilliant director Jin Hyuk, who directed Shining Inheritance, City Hunter, Prosecutor Princess, and Master's Sun. 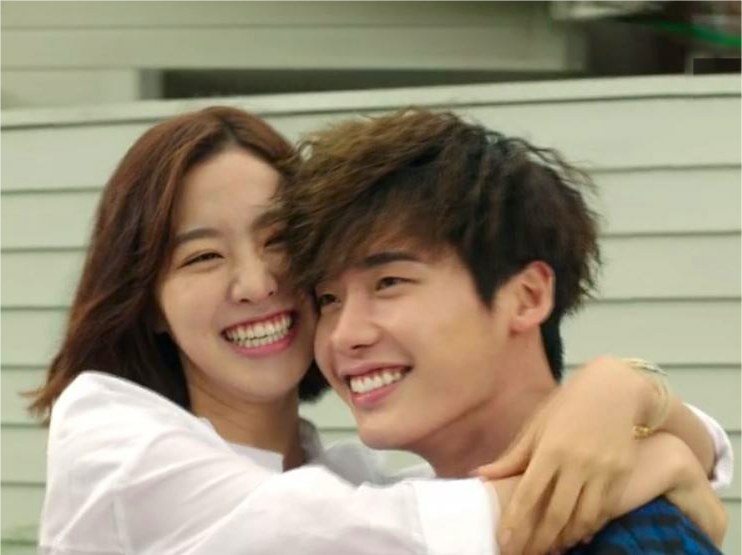 In my opinion, however, there were quite a few people out there in the online K-drama community who disliked this drama simply because they wanted Lee Jong Suk's character to end up with a different female character other than the one his character had loved since childhood. To me the entire show would have been of none effect if he had left his childhood love, who had suffered cruelly for years in North Korea, for the other female lead character just because the woman developed a silly crush on him. All along her character was far better suited to the second male lead in this show, another doctor who actually loved her, but once people put blinders on it's not easy to tear them off or they'll "lose face" with other fans. "I only make masterpieces! Trust me. I'm Lee Jong Suk!" On one particular K-drama website (which should remain anonymous), where the website owner seems to be a dictator type and everyone feels they need to be in lockstep with the owner's personal opinion, they started bad-mouthing this wonderful and exciting drama when it looked like "Doctor Stranger" would stay true to the love of his life, and worse, these sour individuals would post outright lies about the show, making it look like a significant number of people hated it. Check back now, many months later, when this website owner has moved on to other dramas, and you'll see far more 5 star out of 5 glowing reviews for Doctor Stranger than you saw when it was first running. When people are not told what to think they tend to express their pleasure far more freely. With most Korean dramas focusing away from any mention of the South - North conflict I was excited to watch Doctor Stranger which was brave enough to explore its frightening ramifications on citizens. The ratings for this show reached over 18% in South Korea, which is excellent since most Korean dramas hover between 5 to 10% ratings today, and private cable shows between 1% and 2% ratings. and forced to live under Nazi-like living conditions as slaves of the state. The Story: As a young lad in South Korea, Park Hoon (Seung Hyun Goo as a boy, Lee Jong Suk as an adult) and his world famous heart surgeon father Park Cheol (Kim Sang-joong from City Hunter), were brought to North Korea so that Park Cheol could operate on the current "Dear Leader" dictator, who needed specialized heart surgery. During the surgery when it looked like the patient might die, the North Koreans bring out little Park Hoon and put a gun to his head in front of his father in the operating room: "Save our leader or the kid dies." but what if one of them has a conscience? The patient is saved but father and son are stuck in North Korea and not allowed to return home to South Korea. All this was tacitly allowed to take place with the secret cooperation of a corrupt, ambitious left-leaning South Korean politician named Seuk Joo Jang (Ho Jin Chun from City Hunter) who knew they wouldn't be able to return to the South easily. Later he becomes President of South Korea and has even more dastardly plans against Park Hoon when he ends up needing heart surgery from him but still plans to destroy him afterward! Nice guy! Boo Hiss! 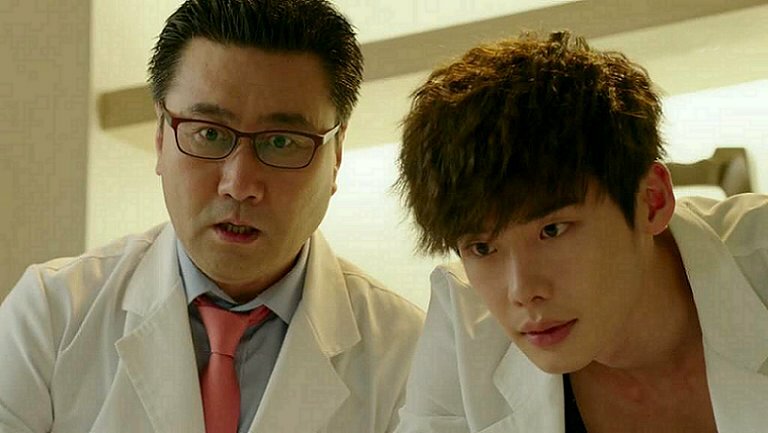 Park Hoon has to grow up in the North, even though it's tough for him, learning to be a doctor just like his father. As a child and as a teenager Park Hoon meets the beautiful Jae Hee Song (Seo Ji Hee as a child, Se Yeon Jin as a teen and adult) and they fall deeply in love, but Western style romances in North Korea will put a big target on your back and this is what ultimately happens to the couple. 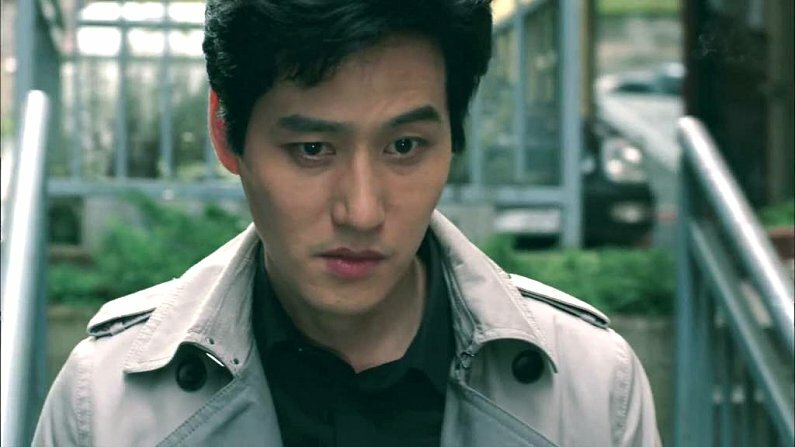 Park Cheol is arrested and executed before his son's eyes (chilling scene!). With the murder of his father, Park Hoon is determined to escape North Korea with Jae Hee and he sees their chance when he is ordered to South Korea under guard protection to get new medical equipment from the South. Jae Hee falls from a bridge after a wild motorcycle escape and after they reach the gates of the South Korean embassy but are turned away (on the order of the corrupt South Korean politician! ), but she survives after falling (unknown to Park Hoon for quite some time) and is imprisoned in a Communist concentration camp after being taken there by an insane leftist agent named Jin Soo Cha (Hae Joon Park in a chilling performance), who secretly has the hots for her, though he would never admit it. Park Hoon ends up successfully escaping to South Korea, partly with the help of a hit man named Tae Sool (veteran actor In Ki Jung from so many dramas I've lost count!) who works for the corrupt politician but who secretly likes Hoon because as a child he was kind to him and offered him lollipops! How's that for an original plot twist! The act of handing someone a lollipop saves their life. Park Hoon finds work in South Korea as he can, first as a water boy delivering bottles to Myungwoo University Hospital in Seoul, and then after he saves someone he is discovered to be a medical doctor and is hired on staff. He gets word from a friend that Jae Hee is still alive in a camp in North Korea, he sees her on a video pleading for help, and he is intent on saving as much money as he can to buy her way out of that hell, even if it costs a fortune! Then one day who should show up at the hospital but a mysterious woman doctor named Seung Hee Han who looks exactly like Jae Hee, and Hoon is amazed and is convinced it is her, even though she vehemently denies it. He follows her around like a lovesick puppy calling her "Jae Hee!" over and over again, despite her denials, but we see that she has something in private going on with our old enemy, North Korean agent Jin Soo Cha, and she seems to be under some kind of a threat from him. This makes the audience more and more convinced it is Jae Hee after all. Has she been brain-washed, or does she have a covert mission against Hoon? She ends up working permanently at Myungwoo Hospital as an anesthesiologist, which throws Hoon for a loop; he can't keep his eyes off this woman, which makes her very uncomfortable, and which is even noticed by other staff members. Hoon and another doctor on staff who befriends him, Hyung Wook Moon (played by my favorite character actor Jung Woo Choi from Master's Sun) try to break into computer records to see the woman doctor's health history; a certain physical trait would be present in the woman which Jae Hee had suffered from back in North Korea after Hoon had operated on her, if she was, in fact, Jae Hee. They can't find it, and wonder if the records could have been doctored. How can a woman who looks so much like Jae Hee, not be Jae Hee? illegally staring at a fellow employee's private health records! Before and while all this is going on, Hoon was developing some tentative relationships with other doctors on staff at the hospital, including a quiet and contemplative surgeon named Jae Joon Han (Park Hae Jin from My Love From Another Star) who has his own secrets originating from his childhood, and the woman doctor he loves, Soo Hyun Oh (Kang So Ra). As much as she tries to love the quietly obsessive Jae Joon back, Soo Hyun finds herself more and more attracted to the dynamic and energetic Hoon instead, even though Hoon keeps putting her off. Jae Joon has a plan of revenge against Soo Hyun's father for past grievances related to his own father's ruin. Soo Hyun's father, Jyun Gu Oh (veteran actor Kuk Hwan Jeon from Bad Guy), is head of the entire hospital. Even though Jae Joon wants to marry Soo Hyun his conscience holds him at bay to some extent because he knows he has some dark intentions against her father which would definitely interrupt any solid love and trust relationship between the two. Can the both of them overcome the hindrances to their relationship? They have so much potential together, far more than she has with Hoon, who has never stopped loving Jae Hee. but Jae Joon - they're perfect for one another! Eventually things come to a head between Hoon and Jae Hee, and the truth is uncovered -- only this puts them once again in threat mode from North Korea, its agents, and its double agents in the South Korean government. For a few brief days they have a joyful reunion but then harsh reality sets in again. They've both been watched intently by the North the whole time and potentially pitted against each other, but true love finds its own way despite other peoples' hate and resentment against them. Hoon's mother, who had gone insane after he had disappeared into North Korea as a child, also resurfaces, and Jae Hee risks her life to keep her whereabouts secret from the North so she isn't used as a pawn and a trap to kill Hoon. When Hoon is reunited with his mother the scenes between them are so beautiful, I cried. How could anyone hate this drama just because they're told to by a ninny website owner? There are so many scenes that are incredibly touching, and so much tension, political and emotional and romantic, that you could cut it with a knife. History even repeats itself with the same set-up that separated our lovers in the beginning, since the communist mind has never been very creative; they only know one thing: kowtow to a central authority, or die! There are many subplots I'm not going into since the review is already too long, and many interesting and delightful secondary characters I haven't touched upon either. You'll simply have to watch this stunning show and enjoy them for yourself. There are a lot of surprises in store for you. This is a Korean drama unlike any other. If you are tired of all the too similar silly romantic cliche K-dramas out there, definitely watch Doctor Stranger to see something deeper, unique and ultra-special. You'll be hooked! 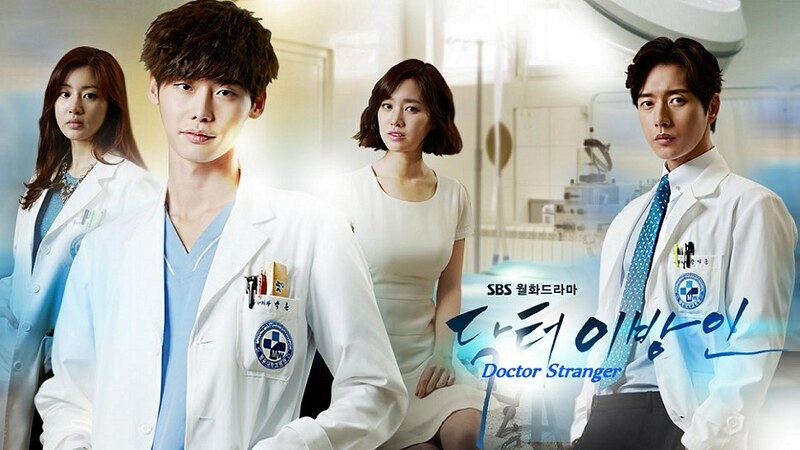 Who is the REAL Doctor Stranger?